Get to know more about our pharmacy. Our mission is to provide world-class patient care in order for our patients to feel better and to live longer, more fulfilling lives. To be an integral part of our community, to help our patients and their entire families—fur babies included—with all their medication, nutrition, and fitness needs. In order to provide patients and families with the quality of life they deserved, it was very important to help people be healthy while taking the least amount of medications. For the past 2 years, Dr. Pattani helped over 300 patients reduce the number of medications they took. Now, we are determined to help every patient that walks into our pharmacy do the same. Our goal is to be that one place wellness center for the entire family. We strive hard to bring all the services a person/family needs to live their best life yet! 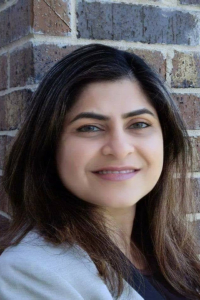 Dr. Deepa Pattani graduated with a Doctorate in Pharmacy from Rutgers University: Ernest Mario School of Pharmacy in 2004. Dr. Pattani holds an active license as a Registered Pharmacist in 4 states throughout the country and has experience across the board from retail to hospital and everything in between. Dr. Pattani wanted to start a Pharmacy that could really be a resource to the entire community. Our Wellness model is unparalleled to any other pharmacy in the area. That is because Dr. Pattani has worked in the cities around Allen to truly learn the needs of the community and Allen Pharmacy & Wellness is our attempt at bridging that gap in health care. Dr. Pattani lives locally in Allen with her husband and 2 boys. In her free time, Dr. Pattani enjoys reading, riding bikes and spending quality time with her family. She enjoys her nachos and margaritas as a true Texan even though she was raised in New Jersey. 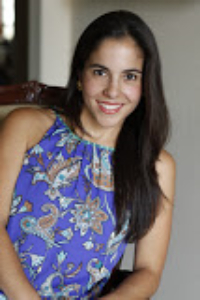 Maria-Paula’s interest in nutrition started during her high-school years when she visited a Registered Dietitian in her native country of Ecuador. At that time, she realized her passion – helping others achieve their goals through healthy eating. Maria-Paula decided to embark on a journey and enrolled at Texas Woman’s University to pursue her goals. She continued her educational growth there obtaining a Master Degree in Nutrition. As a Registered Dietitian Nutritionist for over 15 years, Maria-Paula has been working with families from the start. She has provided services at Head Start of Greater Dallas, the Women, Infants and Children’s Program (WIC), the Neonatal ICU at Parkland Hospital and for many years she was a Dietitian at Children’s Health (formerly Children’s Medical Center) in Dallas where her focus was Gastroenterology Disorders. With the strength of her background and knowledge, Maria-Paula founded LifeCycle Nutrition, LLC in December 2015. Her goal is to translate the science of nutrition into practical advice others can use in ALL stages of life! Having a family of her own, Maria-Paula gets satisfaction in helping families work together in achieving their nutritional goals. 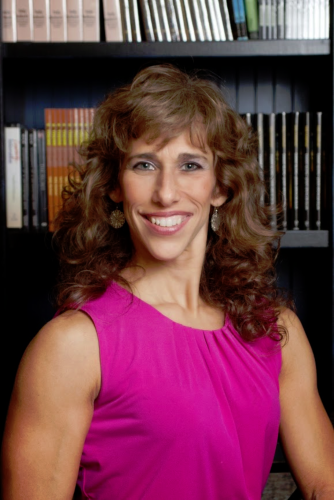 She has several years of experience providing weight management counseling as well as working with families and individuals with food allergies, high cholesterol and high blood pressure, Type 2 Diabetes, Inflammatory Bowel Disease (IBD), Failure to Thrive (FTT), feeding tubes and feeding difficulties, and Celiac Disease, amongst others. In addition, Maria-Paula enjoys sharing her knowledge with many. She loves to write articles for magazines, newspapers or blogs and is happy to give a TV or radio interview. Maria-Paula is a fitness enthusiast who loves to run and is a regular participant in Camp Gladiator. She has discovered a challenge in Obstacle Course Races which she does regularly. She stays busy keeping up with her daughters Victoria and Sophia who are the inspiration for everything her and her husband Chris do. Monica Steiner is a current 2X World Women’s Physique bodybuilding Champion who has been in the wellness, fitness, motivational and communications fields for over 30 years. At 53, Monica is continuously raising her own bar as an accomplished black belt martial artist, 2 x World Champion Pro Physique bodybuilder and an executive fire-walking instructor. Monica’s Lifestyle Solutions Program focuses on fitness, nutrition, and positive mindset as the key to productivity, enhanced energy and long-term good health. Monica lives in Allen, TX with her 4 children and Dr. of Chiropractic and Acupuncturist husband of 31 years. For information about our company, please call 972-372-9775.